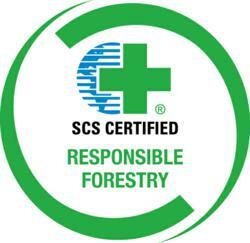 Scientific Certification Systems has certified the Patneshwari Agricultural Co-Operative Limited under the internationally recognized Forest Stewardship Council (FSC) program, making it the first timber-producing forest in India to earn FSC certification. FSC-endorsed certification of PACL’s operations sets an example for forest managers seeking to address the problem of deforestation that India has experienced due to its rapid economic growth. Scientific Certification Systems (SCS) has certified the Patneshwari Agricultural Co-Operative Limited (PACL) under the internationally recognized Forest Stewardship Council (FSC) program. PACL is the first timber-producing forest in India to earn FSC certification. The cooperative, representing 1,304 forest owners, is located in the Koreaput district of Orissa state and entails approximately 2,300 acres of forestland. The co-operative is cultivating Eucalyptus varieties on degraded farmland to meet demand from local paper mills. Members hope that certification will help them gain access to international markets that increasingly demand FSC certified wood products. Crops like pulses, maize, ginger, turmeric and oilseeds are also cultivated on the land during rotations. The Patneshwari cooperative is the first FSC-certified forest in India to focus primarily on wood products. It joins a rubber plantation in Tamil Nadu State as the only FSC-certified forests in India, to date.